When it comes to life science marketing, a good portion of an event’s value is derived from having better qualified leads with more projects and more funding to spend. In order to get the most value from your marketing dollar, it is crucial to meet hundreds of active researchers in one place, at highly subsidized research institutions. For this reason, Biotechnology Calendar, Inc. is pleased to bring lab vendors one of the industry’s best values available by exhibiting at the 16th Annual BioResearch Product Faire™ at University of Alabama at Birmingham on Thursday, November 12, 2015. Did you know that the University of Alabama at Birmingham spends more than $407 million annually on life science R&D? That breaks down to a daily expenditure on life science research of $1.5 million for every day the university is in session. These are some of the most well funded and busiest researchers in the southern United States, which makes the University of Alabama a lucrative market for lab sales. Biotechnology Calendar, Inc. brings extra value to your marketing dollar with this premium annual life science event, held at University of Alabama. 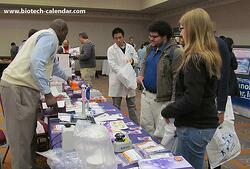 Last year, this show hosted a total of 306 attendees, of which 83 were professors, post docs and purchasing agents. 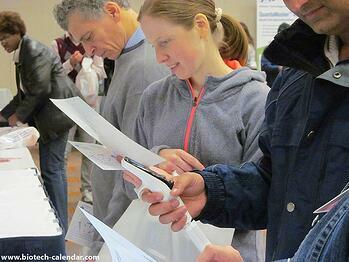 Of the total attendees, 46 were lab managers and the balance was research associates and postgraduate students. With a 27% decision-maker average, the University of Alabama BioResearch Product Faire™ is a show full of quality leads, with the funding and authority to make purchases for their labs. In total, this event attracts researchers from 32 different departments and 24 buildings across campus, all to one marketplace. There is no need to travel lab-to-lab anymore. 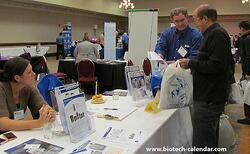 Take this opportunity to add more value to your marketing dollar by exhibiting at this popular life science event. For even more added value, several pricing options and early registration are available for the 16th Annual BioResearch Product Faire™ at the University of Alabama at Birmingham.